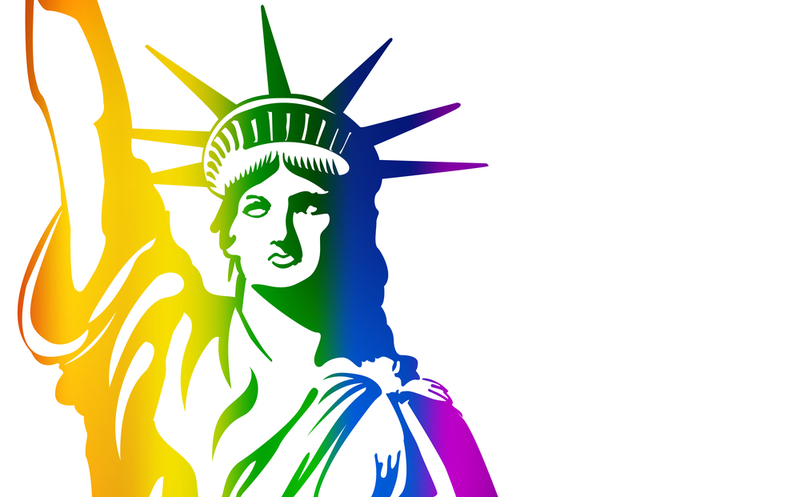 Prior to 2015, there was only one survey of gay immigrants in America. Just one. And it only included nine people, all of which were Latino. It was far from comprehensive and it was far from useful. But that was the only resource that the Seattle Counseling Service could find when they were seeking information on what services LGBT immigrants and refugees wanted and needed. So the Seattle Counseling Service partnered with activist Jacque Larrainzar to work on a more comprehensive survey. When Larrainzar contacted Dr. Karma Chavez (the creator of the first survey) she was told that Chavez had to fight for those nine respondents, that asylum seekers of any sort were very reluctant to out themselves to a researcher. Despite this, Larrainzar made it her goal to get one hundred respondents. And even though one hundred respondents only provides a small window into the much larger population, it’s still a wider window than before. In a year, Larrainzer managed to contact and interview more than 50 people. They came from dozens of nations and spoke as many languages. An Iraqi lesbian. A trans woman from Vietnam. People from Africa and from Mexico with all manner of identities. She interviewed each about what services they needed and what problems obstructed their lives. Housing, religious discrimination, healthcare, and counseling were the big issues that kept coming up. Many LGBT immigrants risk losing the last of their national community, even in Seattle, if they come out, and fear of deportation runs high in the current political climate, which refuses to grant special asylum status to LGBT individuals from countries where they can be killed if they’re found out. Ricardo Gonzales, program coordinator for the Seattle Counseling Service, has taken over the survey where Larrainzar left it in 2016, but he reports that data collection is much more difficult today, in Trump’s America. That data has helped to make Asylum Connect, a discreet online director of services specifically for LGBT asylum seekers in Seattle. It covers everything from trans-friendly bathrooms to queer-friendly mental healthcare providers.